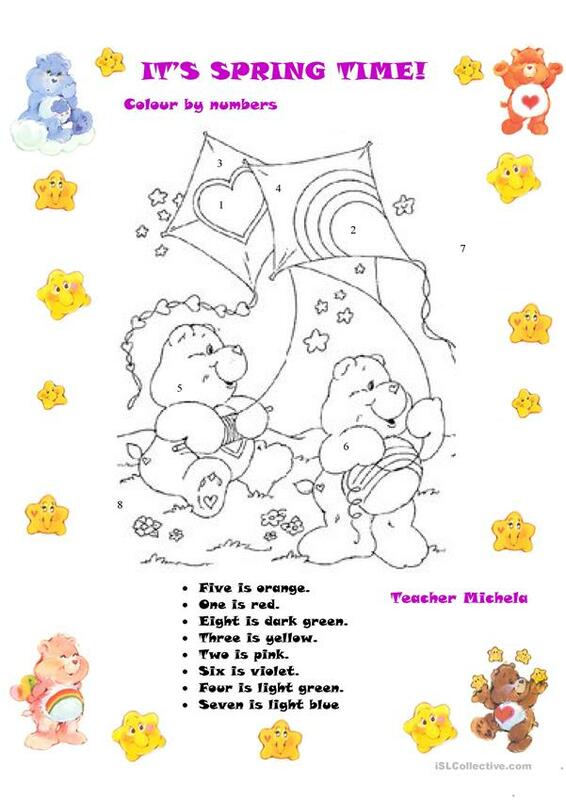 My girls pupils ask me to prepare a worksheet with carebears....this is it! It's very simply, I think it can be useful for your little ones! This downloadable worksheet is best suited for elementary school students, kindergartners and nursery school students and students with special educational needs, learning difficulties, e.g. dyslexia at Beginner (pre-A1) and Elementary (A1) level. It is a valuable material for enhancing your groups' Reading skills. It is about the theme of Colours.